Since 2011 Silent Army Comic Collective has been running fun and practical workshops, tutoring private classes and ongoing sessions with different schools, universities and community centres in Melbourne, Tasmania, NSW, East Timor and Indonesia. 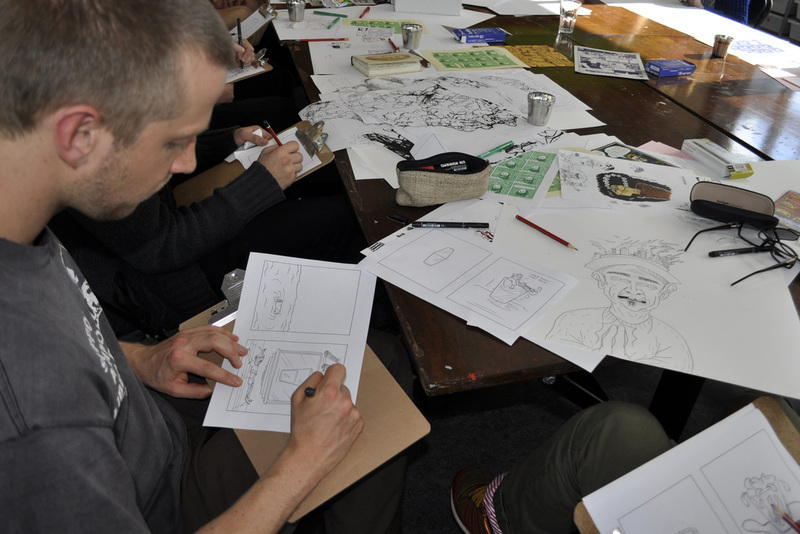 We have a lot of experience in specialist fields from cartooning to mural making and are flexible with our time to encourage, inspire and connect. We have facilitated one on one tutoring as well as larger classes for adults or children. We believe a good teacher brings out good work from the students, or rather points the students toward getting good work from themselves. Write for a quote or further description of what we can do for you.